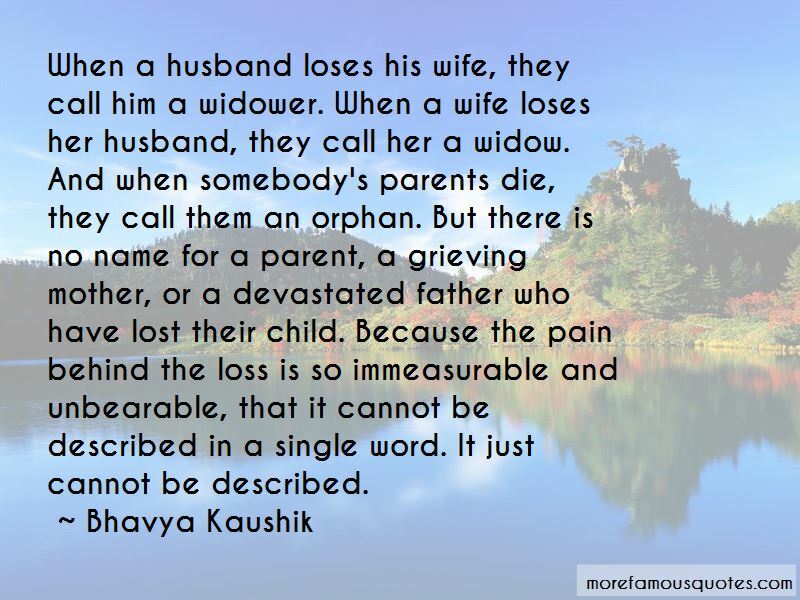 Enjoy the top 5 famous quotes, sayings and quotations by Bhavya Kaushik. 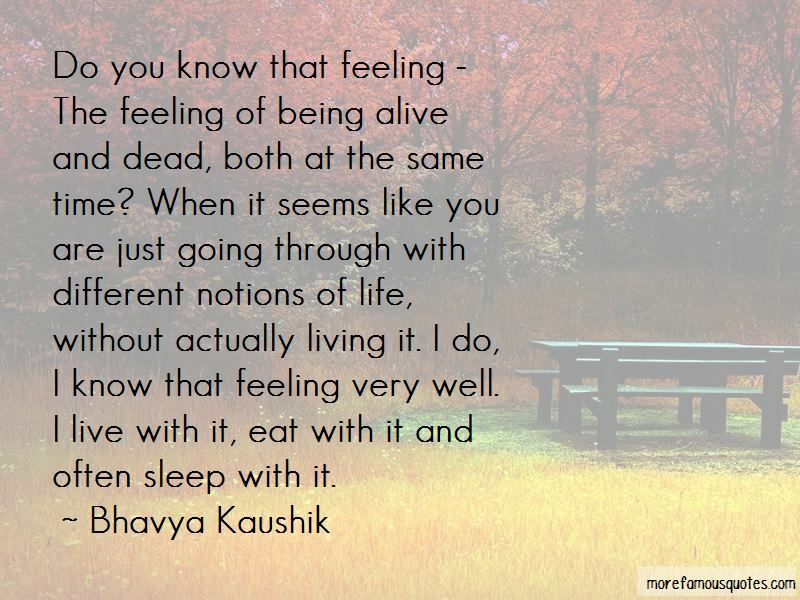 Do you know that feeling - The feeling of being alive and dead, both at the same time? When it seems like you are just going through with different notions of life, without actually living it. I do, I know that feeling very well. I live with it, eat with it and often sleep with it. We can heal our superficial wounds, but how do we kill the pain inside? How can we heal something which no one except us can feel? There is no doctor, no medicine, and no remedy for something like that. People die from sadness almost every day. How can someone be saved from drowning in a whirlpool of their own thoughts? 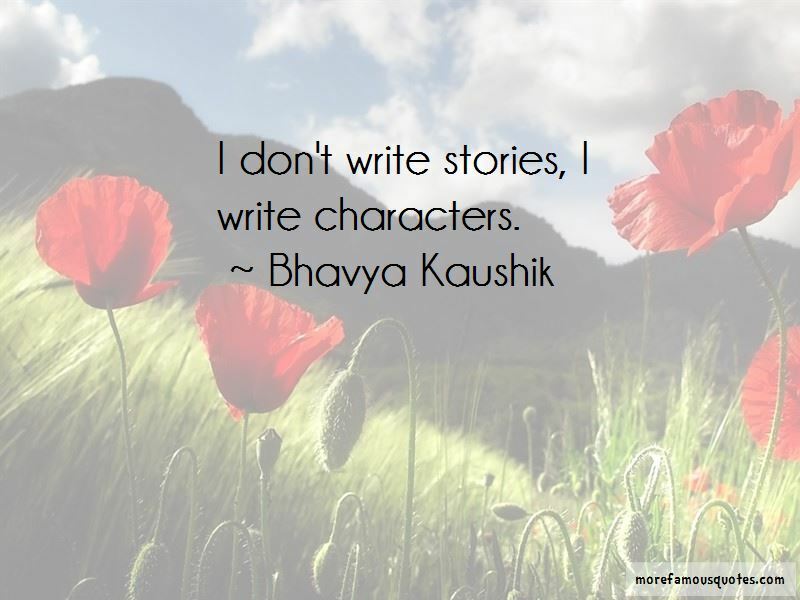 Want to see more pictures of Bhavya Kaushik quotes? 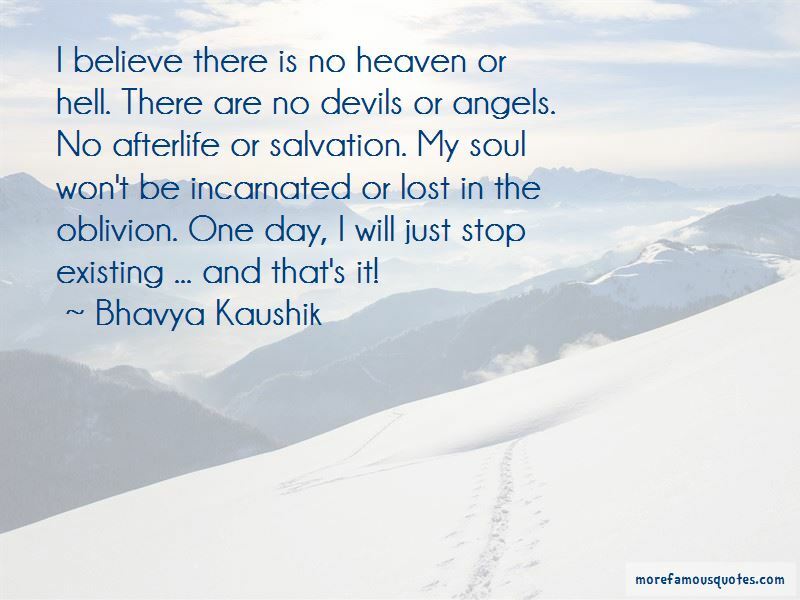 Click on image of Bhavya Kaushik quotes to view full size.